Tales from the Border Keep – Page 2 – Articles, stories, and resources concerning table top roleplaying games. A better question to ask when looking for the right game to play might be, ” What do I like?” Well, that’s an easy one! If you’re into medieval fantasy stories, video games, or movies, then oh man, there’s a game out there for you. Chances are that you’ve heard of Dungeon and Dragons, but there are hundreds of tabletop RPGs geared toward the fantasy genre. Star Wars fan? Covered (check out Star Wars Edge of the Empire, and my other blog posts titled Tales from Teemo’s Folly). Super heroes? Check. Whether you want to play dragon hunting knights in a high fantasy world, or survivors of a Mad Max type setting, struggling to find supplies, there’s a game or rules system out there to fit your needs. Do some research on the games that you might think are interesting. Ask someone at your local game shop about what they like to play. You might find out that a roleplaying game has already been made based on your favorite movie or TV show. 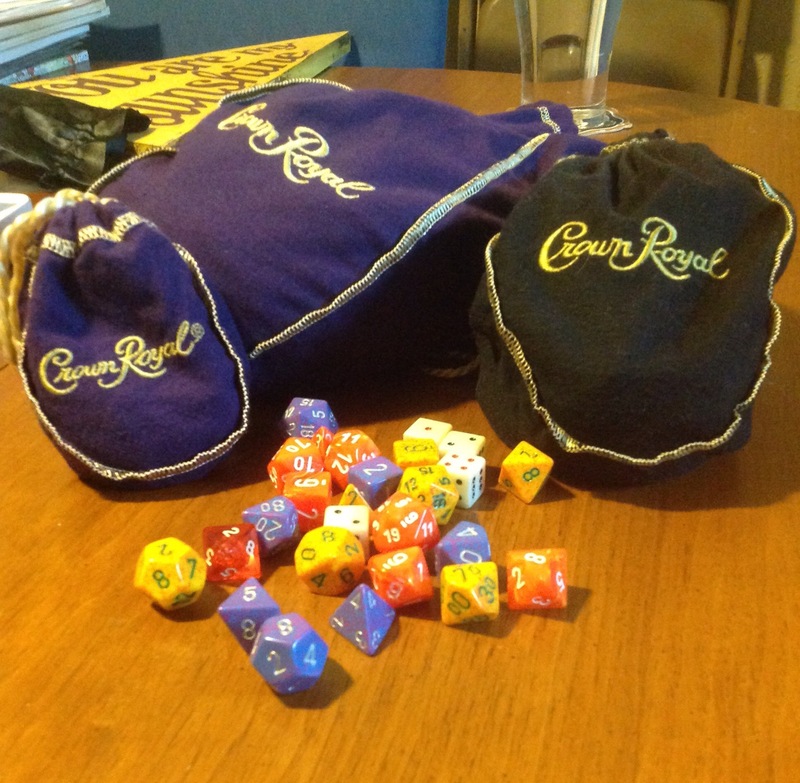 Even if you can’t find a game based on your favorite whatever, there exist numerous universal roleplaying games, which are rules systems that can be tailored to any setting you desire. Whatever it is that you like, try and find a game that mirrors your interests. Who wants to play in a game they don’t care about? Another thing to consider when you’re shopping around for a game is the cost. I’m not going to lie, some of these books aren’t cheap, with what goes into producing an RPG. With some games you’ll need more than one book to play, so double (or triple) ouch. On the bright side though, unlike a video game or novel, the RPG you’re buying could be played for as long as you and your friends want. Indefinitely . Many gaming companies publish a simple rules lite version of their game that is usually affordable, or free, which is a great way to see if their rules feel good to you. Many companies offer free, or next to free, PDF downloads of their games. 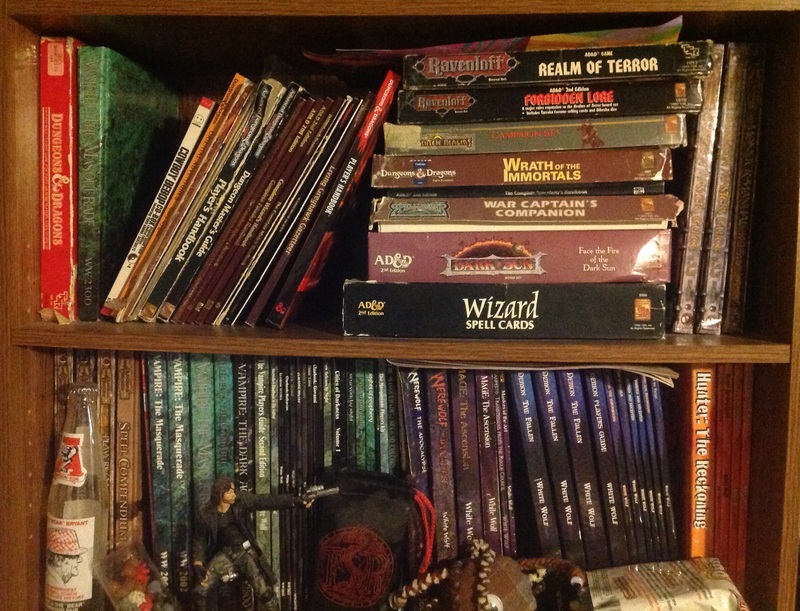 While I will always prefer reading from a book rather than a tablet or computer, I have to admit that it is nice to save the space an RPG collection can take up. I like to support my local game shops as much as I can, and they can be helpful when you have questions about what kinds of products are out there as well. Some really great deals can be found online as well, for used books or supplies. Used book stores are another great place to find games for the right price. With a little shopping around, you should be able to find the game you’re looking for at a price that you’ll feel good about. Much of what I’ve written assumes you already have a group of people willing to game with you. If not, that’s no big deal, because there are plenty of ways to meet people who share a love of the hobby. Your local game shop may host various games a week. Talk with some of the guys running the games, because they might be looking for a player or two. If those games are full, there’s usually some type of message board hung up somewhere in there, where gaming groups can post messages about needing new players. Of course, use common sense when meeting strangers for the first time. Bring a friend along, and if you feel you uncomfortable don’t hesitate to leave. Maybe there isn’t really a gaming presence where you live. Don’t fret, so long as you have the interwebs (I assume you do, if you’re reading this), you can still play. Many people play RPGs over the internet, using services like Google+ and Roll20. There are tons of games posted, for a variety of times, and many of them welcome newcomers to their groups. Ask them questions as to the games they play and give one of them a shot. You’re not married to the groups you play in, so after an earnest try, if it’s not working out, politely leave. That being said, consistency is key to playing in a good game. If you agree to make a character, try to make it on time, and give it an honest shot. I hope this might have helped someone out. If so, give us a like. I know I’ve missed a bevy of games that I just didn’t have the room to list above. So tell us, what’s your current favorite tabletop RPG, and why. Leave your ideas in the comments below. Check out our other posts if you have a moment. Tales from Teemo’s Folly is a narrative fiction based on one of our current Star Wars Edge of the Empire games. Take a read if you’d like to get inside the head of someone whose playing it. Be sure to check out our partner blog, http://theborderkeep.com, as well, for great tips on running RPGs. Posted on September 17, 2015 September 14, 2015 Categories ArticlesTags Dungeons and Dragons, gaming, Narrative Gaming, new to gaming, new to RPGs, RPG, Star Wars Edge of the Empire, tabletop roleplaying game1 Comment on Which Game is for Me? Another awesome article from our partner blog! The wayfarers have taken to the skies once more after infiltrating the Imperial port authority and clearing their ship for take off. The crew evaded a group of stormtroopers in the alleys who were apparently looking for them as well. Once clear of the immediate Imperial threat, they attempted to board their ship, only to be ambushed by a Trandoshan bounty hunter. Lyr’as was still in the engine bay, hard at work on the makeshift hyperdrive modulator he thought he could make fit their ship. Damnit, he thought, dad was right. He was a failure, and now him, and his crew are going to die, or worse, get captured by Teemo. He wracked his brain for a faster way to shorten the engagement rod. He looked at the plasma cutter on the counter. If he got the modulator too hot, it would destroy the coils. But if he managed to get it just hot enough to cut with the bolt cutters, he might just be able to get it where he needed it to go. The ship rocked as it was hit by one of the TIE fighters that had opened fire on them. “Do or die, do or die, do or die,” he muttered to himself like a matra. Strch and Je’Coch opened fire on the TIE fighters once they came into range. Blaja shot at them, but only to route them into his companion’s targeting systems. He was determine not to take a life directly, even if his friends thought it silly. But when the first enemy shot burnt into the ship’s hull a mere meter or so from the Ithorian’s turret, something in Blaja changed. He was used to dangerous situations, he had been his whole life, but today was the closest he had come to death and maybe that’s what made the difference. Anger and fear wrested control from logic and reason. Blaja yelled in stereo, his turret flashing one shot after another. A blast clipped one of the TIE fighters, sending it spiraling out of control and crashing to the ground in a fiery explosion. The other fighters broke formation and began to swarm the L Model, forcing LOM-8 to go into evasive maneuvering. The droid strained against the controls as he pushed the patchwork ship to its maximum limits. The entire structure shook under the intense handling. Blaster fire crisscrossed around the L Model. LOM-8 pointed the vessel toward the sky and punched it, forcing the TIE fighters to avoid its much larger ship. The little fighters wouldn’t be able to dance around it so easy while trying to leave atmo. The ship shook violently as it fought against the gravity of the planet. A sheen of white hot flames surrounded the crafts as they began to break the atmosphere, and true to theory, the fighters were forced to slow down. The gunners used this as an opportunity to aim. They opened fire. Strch’s shot was a direct hit. The TIE fighter burst into flames and exploded, the wreckage of which his wingman just barely avoided. The deft pilot, however, had put his ship in a direct line of attack for Je’Coch, who’s shot turned the fighter into a plume of fire and scrap. The last TIE Fighter danced around their web of blaster fire. Lyr’as grabbed the biggest sledge hammer he owned and brought it up over his head, ignoring the white hot pain that seared from blaster wound in his shoulder. With a triumphant yell he brought its weight down to bare on the rod, which snapped off and clattered to the floor. Lyr’as loosened the vice and grabbed the part. He crammed it into place, with the one end still glowing. It was either going to work, or kill them all. Lyr’as ran over to the intercom and yelled, “Hit it!” LOM8 bought up a course and engaged the hyperdrive. The L Model shuddered and the power flickered for a moment. Then the stars turned into white streaks and in a flash the TIE fighter was left alone in empty space. The exhausted crew stumbled out of their stations and Je’Coch treated their wounds. While they sat around boasting of their skills and laughing at their luck, Lyr’as said, “Man, I always forget what an awesome shot Blaja is. Dropped that Gammorian like, ‘Whee, whee, whee! '” The Duros shook with feigned seizures and everyone laughed. Blaja, who had been speechless the whole time, slowly looked at everyone in the room, scanning each with his black, glassy eyes. Then he rose from his seat, and silently left the room. “Huh? Wonder what that’s about?” Lyr’as said, his head cocked to the side. After a few more jokes, the others tended to their equipment or tried to get some rest. The muffled sound of a slow, sad song could be heard drifting from Blaja’s room, sung in a language none of them understood. They couldn’t tell if the song was a recording, or Blaja himself. With an Ithorian, it was always hard to tell. After a few hours the ship suddenly went dark, pulling the L Model out of hyperspace and leaving her stranded amongst the stars. LOM-8 scanned the computer screens after the ship had rebooted, which had come back online with a new Trandoshan operating system. The bounty hunter must have had the ship set to reboot with a system more familiar to him. LOM-8 ran a Trandoshan language interface and began to access the bounty hunter’s files and star maps. There were bounty notices on all of them, as well as a Twi’lek named B’ura B’an. There was also a request for Wookie pelts. Only three destinations had been programed within the navigation computer: Narshada, Ryloth, and Tatooine. LOM-8 wondered what other surprises the bounty hunter might have left behind. Everyone else joined the droid in the cockpit. “Why did you take us out of hyperspace,” Lyr’as asked. The Duros sighed and went back to his room for his data probe. When he returned, the two began working on cracking the security. The process was painstaking, with LOM-8 translating the responses and Lyr’as trying to react. Finally they were able to restore the computer back to normal. When it was back online, the display flashed red. There were two alerts. The hyperdrive modulator was acting up and the hull sensors detected an anomaly on the ship. Whatever it was, it seemed to be broadcasting a signal. Everyone looked at each other. “That’s not a tracking beacon, now is it?” Je’Coch said. “Damnit, why can’t anything be simple!” Lyr’as yelled. “We have to get out there and get rid of that thing before they find us.” They rushed toward the cargo bay hatch and were greeted by the noxious stench of something rotting. They all groaned and gagged, searching for its source after they were able to keep from retching. They all agreed the smell was coming from a box in the back. LOM-8 said “I’ll open it”, as it saw no problem with the vile miasma. Inside were the skinned hides of Wookies. It was hard to tell how long they had been in the box. LOM-8 pulled the biggest one out, a red hued one, “Wookie pelts. I saw an order for some of these in the Trandoshan’s files. I guess he was ready to collect.” The droid’s body language seemed to brighten. “We can still cash them in. The work’s already done for us.” His companions frowned with disgust. The droid looked at the pelt for a moment. “I know.” He draped the disgusting skin around his body, the gore making a slippery noise with his movements. “Ha ha. Look, I am an organic. Ha ha. I am just like one of you.” He was confused when the rest of his crew mates looked at him with revolt. Blaja actually vomited from both of his mouths. “What’s wrong with you?” they shouted. The group all decided to jettison the body and the Wookie pelts into space. They searched around for a spacesuit for Lyr’as. LOM8 voluteered to go out there with him since it wouldn’t have to worry about the vacuum. Once everything had been secured, they opened the hatch and climbed up on top of the ship. Lyr’as watched the body of the bounty hunter and the box drift off into cold space. It was a stark reminder of what could happen to them if they weren’t careful. They checked their safety cables one last time before going out into the endless void. The doctor and the bounty hunters decided to take a look around while the others were out on the hull. Indeed, several changes had been made, and it was evident that the “repairs” Teemo’s mechanics were making were in fact renovations. There was an empty weapons locker installed in a tucked away corner of the cargo bay, as well as several new shelves, nooks, and crannies. Most mysterious of all was the small room that had been built. At first they had thought it was just a large shipping crate, until they happened to notice the spots where it had been welded in place. The door was locked from the outside. “What do you think is inside?”, Blaja asked. “I don’t know. This guy did skin some Wookies recently,” Strch said. He looked at his companions. “It’s one thing to kill a man. Skinning him though.” He shuddered. “I bet its just a room full of corpses, each neatly stacked on top of the other. They’re probably dismembered, surgically. He’s obviously good with a blade,” Je’Coch said. “You know what I would do if I had a secret room with all my secrets in it? I’d rig a grenade on the other side of the door to explode out if it weren’t opened right,” Strch said. A post from our partner blog. Now, I don’t want to make sharing the mundane details of my life at the beginning of these posts a habit, dear reader, but today, I had four glorious hours to myself! My wife is at her best friend’s bachelorette party, and my son was being babysat by my sister-in-law . . . and what, you ask, did I spend this precious free time on? 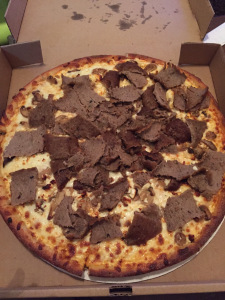 That’s right, I ordered a feta, gyro, and mushroom pizza from my favorite local pizzeria, cracked open a beer, and commenced my first ever “Daddy’s Special Alone Time” ritual. Someone call a cleric! I think I’ve slain hunger! During a time of civil war, a small band of rogues and scoundrels wandered the stars in a stolen ship, desperate to keep one step ahead of The Black Sun, a vast criminal organization that wanted its property back. The spacers decided to lay low for a while and docked at Mos Shuuta on Tatooine where they quickly found work with a local Hutt named Teemo.. It took a few moments for their eyes to adjust to the small gloomy cantina. A lone Twi’lek serenaded a few patrons seeking refuge from the punishing Tatooine suns. They barely batted an eye when the disparate runaways burst through the door. LOM8 and Lyrás dove behind the bar past the objecting bartender. “Don’t worry sir, my droid will work for free so long as you let us lay low for a little while,” Lyrás said, flashing enough credits, and the slug-thrower on his hip, to make it worth the bartender’s while. Strch and Je’Coch slid into a booth amongst a few drunks, feigning conversation. Blaja ducked backstage, joining the Twillect in her song. “I have not seen anyone else come in, aside from yourselves. May I make you a refreshing beverage sir?”, LOM8 said. LOM8 paused for a moment, searching his data banks for a Flameout. It considered the odds of just shooting the Gamorrean in the face, but that option wasn’t out weighing their current ruse just yet. Frankly, it was baffled as to how the Gamorrean hadn’t recognized it. It and its other crew mates had literally just shot up a business meeting with some of these idiots not fifty-two minutes and 38 seconds ago. Meat bags. Dumb, useless, obsolete things. The other two Gamorreans continued searching the bar, going from table to table harassing customer and employee alike. They began to approach the booth Strch and Je’Coch were hiding out in. “That looks like two of them,” Je’Coch overheard one of thugs say to the other. The doctor looked nervously at his bounty hunter companion, who had his blaster rifle trained on the brutes from under the table since they had entered. The Gamorreans stood over the table, brandishing their clubs. “You two, stand up!” one of them squealed. “I don’t like much being told what to do. Especially by filthy swine,” Strch said, maintaining his relaxed position. Je’Coch sighed, his hand already going for his blaster pistol. The Gamorreans hesitated for a moment in shock. Rarely were Teemo’s men talked to like this by anyone other than Teemo himself. They raised their clubs, but that slight hesitation was all the time Strch needed. The bounty hunter smiled. LOM8 finished the drink with a garnish that even the actual bartender didn’t know how to make. The green swine eyed the droid and took a sip. “This is the best Flameout I’ve ever…” was all that left his mouth before blaster fire erupted behind him. Bar goers screamed and darted in every direction, taking cover where they could. Strch kicked the table in front of him on its side as the Gamorrean he had just shot in the gut fell over, but not before the thug’s companion brought his club down on Je’Coch’s shoulder with a meaty thud. Lyr’as pulled his own piece as the screaming bartender ran into a closet and locked it behind him. With the odds now drastically recalculated, the droid drew his blaster on the Gamorrean in front of it as the ugly meatbag turned his back on LOM8. It squeezed the trigger. There was a flash of red light and the Gamorrean’s head jerked forward violently and as his body crashed to the floor, the droid felt something. The feeling was a familiar one, a mixture of fascination and satisfaction. Feelings were strange though, and often times they worried LOM8. They complicated his calculations, adding weird unknown variables to the equation. And they were somehow tied to the red streaks of paint he had been trying to burn off of his body. It decided to store its thoughts about this for another time though, as the other thug by the bar spun around toward LOM8. Blaja jumped out from behind the stage and aimed his blaster carbine at the Gamorrean who had just bashed Je’Coch. The Ithorian prayed that one shot set on stun would be enough to take out his target, before Strch had a chance to kill him too. His Rodian partner was ruthless, and delighted in the rush of combat. At least one life would be saved, even if it were someone who was trying to kidnap them. Blaja waited a moment for the crowd to thin and fired. The shot hit the Gamorrean right between the shoulder blades. The fat beast squealed and shook, then crumpled to the ground like a demolished building. Blaja let out a sigh of relief, which was short lived as he saw Lyr’as and Je’Coch leveling their weapons at the last remaining thug. The cries of the crowd were replaced with the deafening thunderclap of the Duros’s archaic firearm and the distinct sound of a blaster pistol. The last Gamorrean squealed as both shots tore through his body sending him flailing into the bar before falling still on the ground. “That thing freaks me out,” Blaja said as he grabbed the Gamorrean’s feet. “Do you really think droids can, you know, be like us?” Strch grabbed the arms and the two hoisted the fat green thing and began towards the door. “Why are we always carrying fat people around?” Strch asked, as if he hadn’t even heard his partner’s question. Blaja sighed, a strange sound coming from a two mouthed, 4 throated creature. “Because that’s the only ones it seems we’re able to catch, my friend,” said Blaja as they strained under the Gamorrean’s dead weight. On their way out, LOM8 noticed the bartender start to peak his head out the door. The droid fired a few lazy shots in that direction and shouted, “Oh no, there are more of them!” The frazzled man shrieked and slammed the closet door shut again. The droid laughed, and then suddenly stopped mid-chuckle, as if It were surprised, or shocked, by the sound. It stood still for a moment, as if lost in thought, until it disappeared into the Tatooine heat behind its companions.